BIG NEWS! 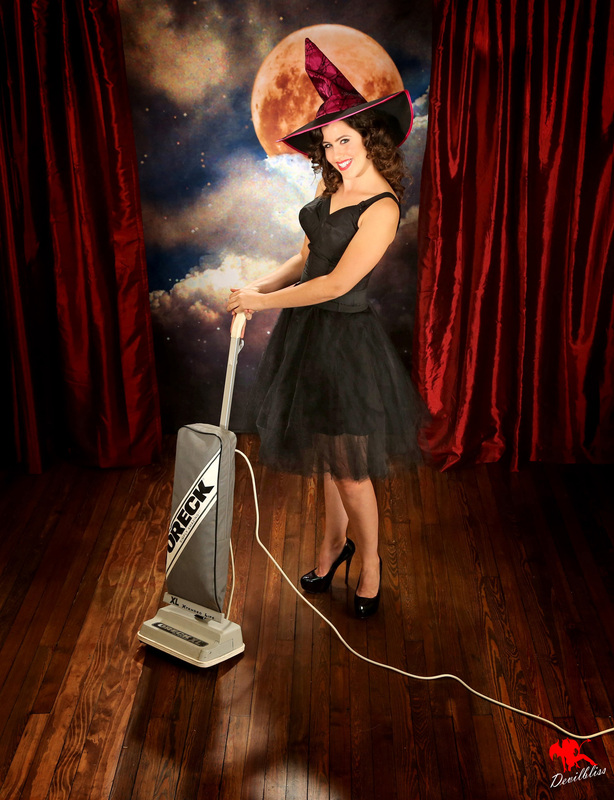 BE A COVER MODEL for the HALLOWEEN SPECIAL of Retrolicious Magazine! One of our most popular sessions period. 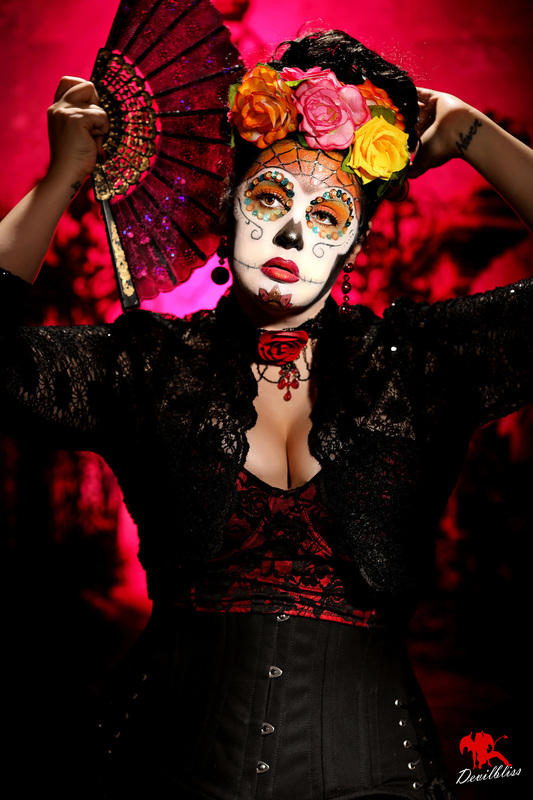 For three years now our Halloween Shadow Sessions have been a staple in our offerings. Classic imagery at its finest. Several shadow backgrounds available. Sessions starting at $300. Adorable, versatile, colorful. 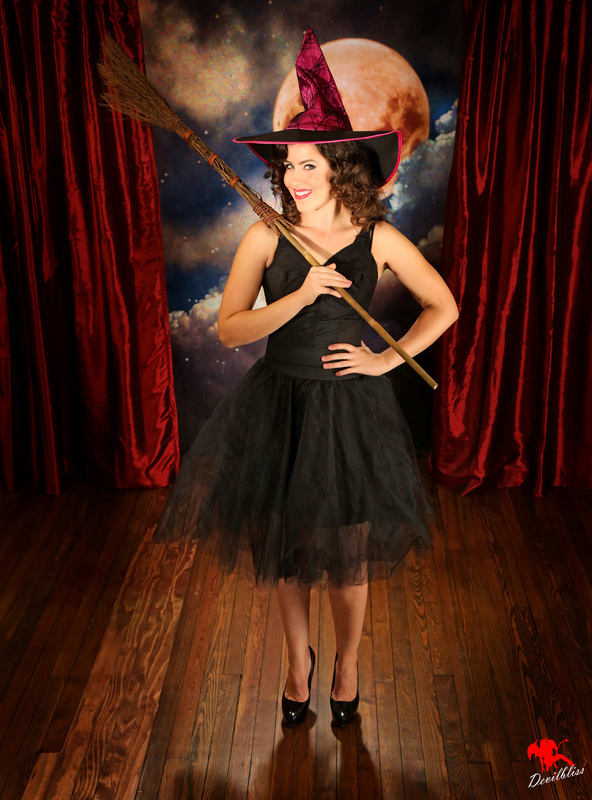 These cheesecake Halloween Sessions are perfect for first timers. They can range from cute to sassy. From $250. We first offered these last year and they were a big hit. Who doesn’t have a little witch in them? From $300. Something a little different and entirely striking. 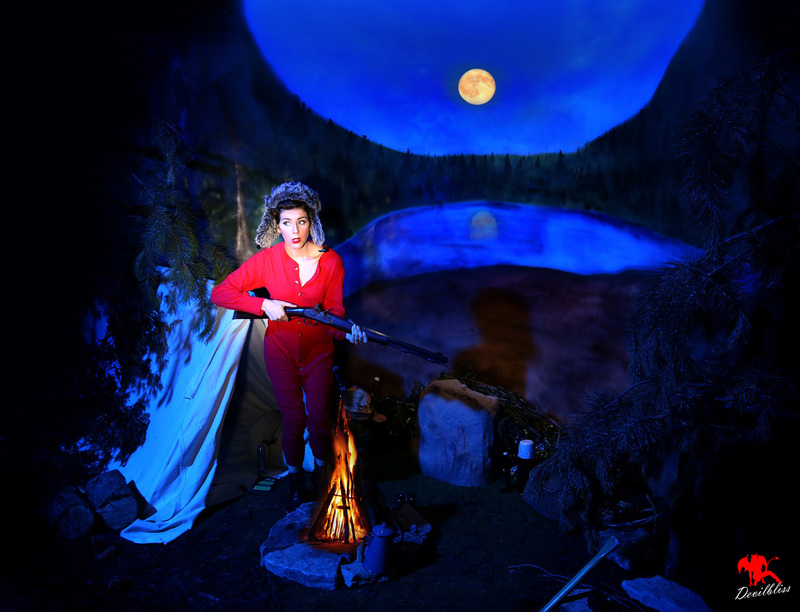 Our studio boasts some spaces that permit som Marionette images like few others can. We’ve all seen the photos of a model with ropes from above but it’s virtually never you see them with the puppeteer’s paddle above them as well. From $250. Bold as it gets. 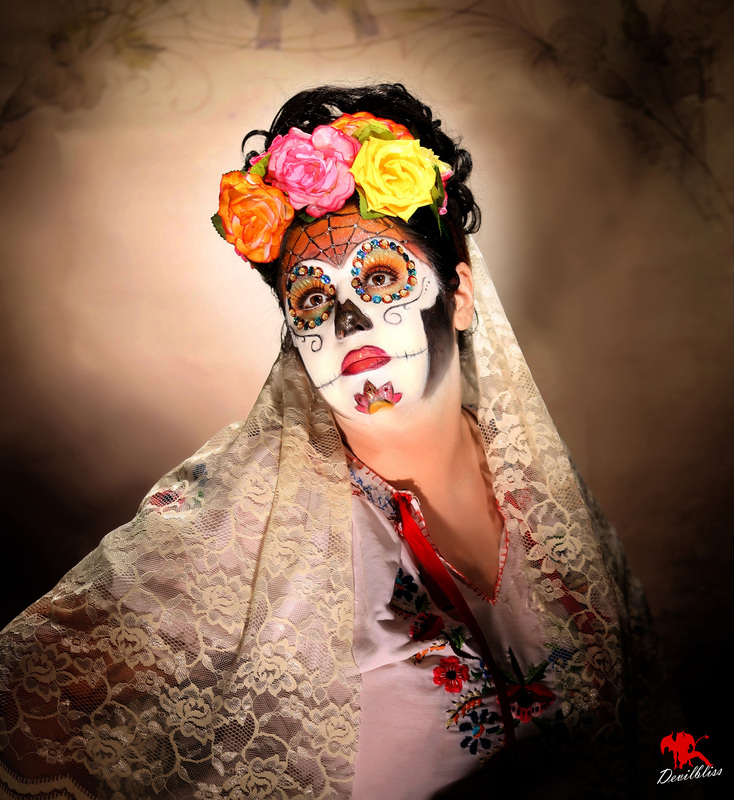 These sessions require additional time for the artistry that goes into this styling. From $275. 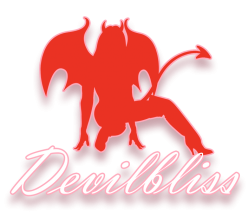 These are samples from our Sample Devilbliss Sessions (which are still available. But we will soon transform this set into a fall offering with autumn leaves strewn about as well as painted into the background. Imagine Michael Meyers standing in the background as a menacing figure for your slasher photos! From $275. Powerful, Seductive. 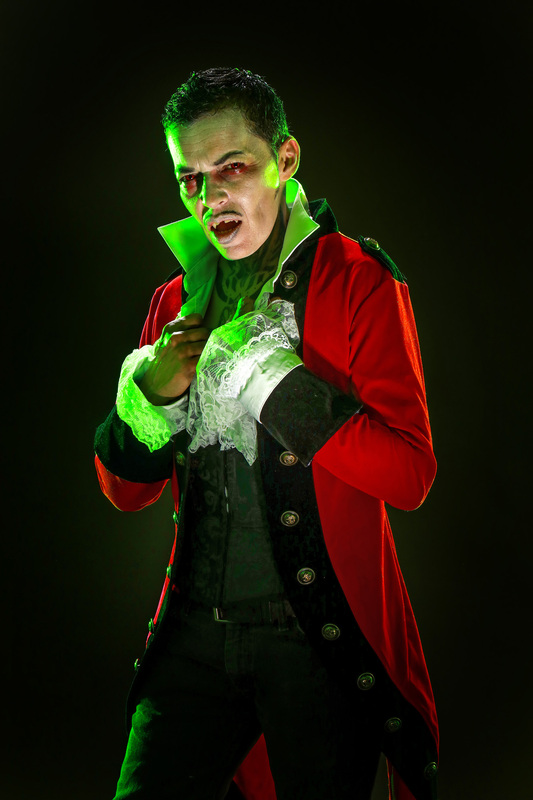 You decide your wardrobe theme set agains our vampire throne and that dramatic Devilbliss lighting. From $250. 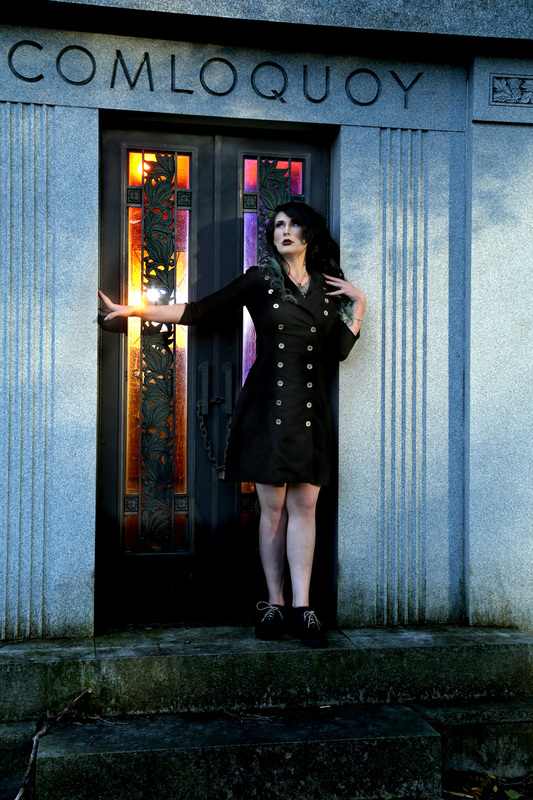 Want a truly extraordinary session for Halloween? Then schedule you outdoor Cemetery Excursion session. 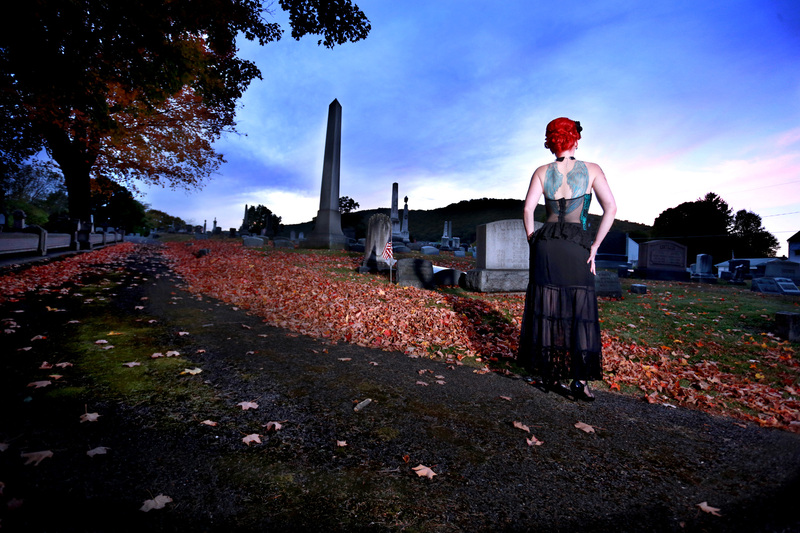 We’ll take you to one of several nearby cemeteries that are perfect for this sort of theme. These shoots are best served during the golden hour each day which is just before sundown. This means these sessions are limited to one per day, mainly weekdays. Please note, we will not take part in any imagery that involves ultra provocative attire or involves standing or sitting on any gravestones. We respect these places. From $300. Something unusual for 2017. Nearly anything goes. The Hellfire Club in Britain had the motto Fais ce que tu voudras (Do what thou wilt). 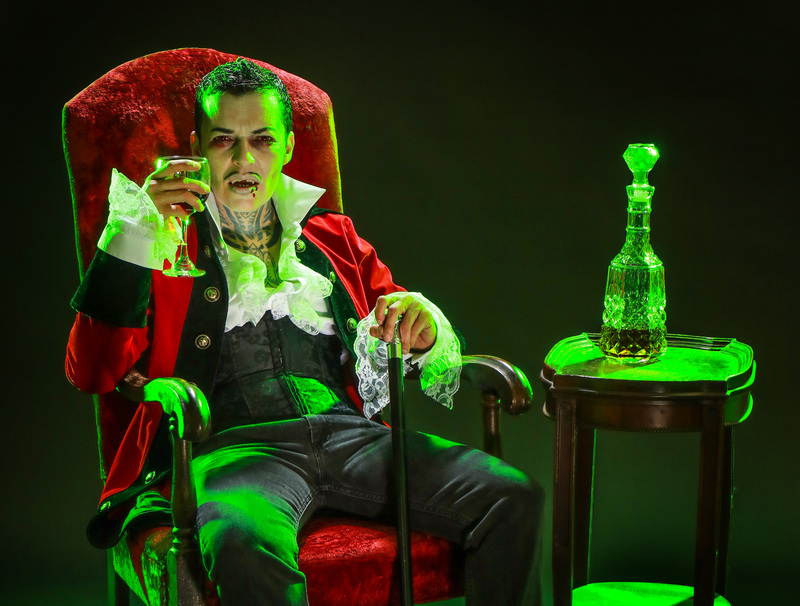 Contact us for a session tailored to you that blends elements of the super natural, macabre, bohemian, irreverant, and grotesque. For a history of the club visit this link. Private sessions from $275. So yesterday Nicole of Making Faces Professional and I were talking. I was doing some bookwork and we began to take note of some things. First we realized it was just over five years ago we did our first work together at my old studio Shangri-La. Back then I was still living in the Metro DC area and was only in Pennsylvania on weekends. I only did shoots here and there. Within the last two and half years though things have changed dramatically and it has become a full time occupation. In those two and a half years we determined we’ve officially done over 1000 photoshoots. My shutter count application confirms my camera bodies have shot over 1,000,000 photographs in that same time. That’s ONE MILLION. We have worked with clients in Pennsylvania, New Jersey, Virginia, West Virginia, New York, Ohio, Illinois, Florida, Tennessee and Louisiana. We have had clients travel to us from Texas, Illinois, Tennessee, New York, New Jersey, Maryland, Massachusetts, South Carolina, Virginia, Ohio and probably some other states I’m missing. We’ve seen many new faces and have become very familiar with others. That’s an interesting word right there, familiar. The latin roots of it also become the word family. That is also a very fitting link to what has occurred with many of those faces we’ve come to know so well. In fact if you consider the various events that have sprung from the business of a photography studio it’s actually quite remarkable. People getting together outside a commercial pursuit where they met. But honestly, it’s a big part of why we do this specialized work. Helping our clients have an amazing and uplifting experience is something that’s more important than the financial aspect of it, and if you were to spend any time looking at the accounting you very well may question our judgement in our line of work. If your a woman and are not yet a member of our Facebook group you REALLY NEED TO JOIN IT NOW. It’s an amazing group of women… soon to reach 1000 members who have either shot with us, want to shoot with us, or are there simply for the amazing support they give one another. Seriously join it if you do nothing else. SO….. with all these milestones on the books, we wanted to do something we have not done in easily 2 years. We know there’s a ton of you who have wanted to do a session but have not convinced yourself to do one yet. For some it may simply be a matter of resources, we know it isn’t as affordable as deciding to go to dinner or buy a new outfit. And here it is. for just 2 days, we are offering a special the likes of which we have not done and may not repeat for another few years. 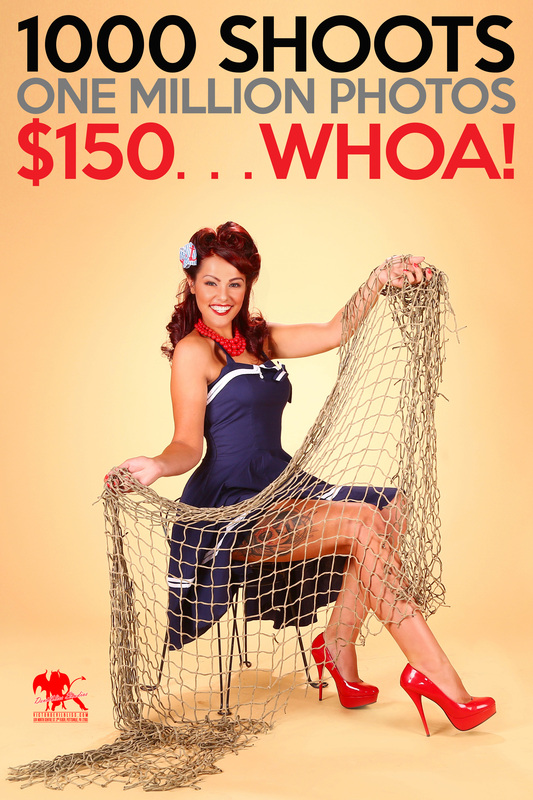 As a thank you we are offering a Classic Pinup Session for just $150 (plus tax). We are offering these sessions on August 26th and 27th and may be able to squeeze in some others on Friday the 25th because we KNOW the weekend will sell out). Session fee is due in full in order to get this special pricing, you may hold a spot for just $75 but the remaining balance will be due within 10 days. Price is per person for individual sessions. For this special pricing we will will need to bill you from our processing partner Square via an email address for you. The form below begins the process but your session will not be secured until you remit to the invoice we will generate for you. This session is not listed on our normal deposit form, it’s that special we need to process it differently. Ready to book? Don’t wait, we have limited openings and this will SELL OUT.